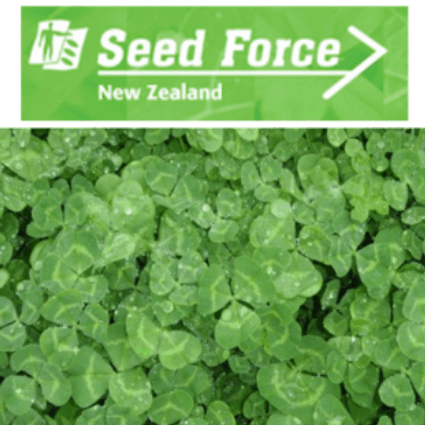 Most often called sub-clover it is an annual that performs well in summer conditions with high N contribution, excellent weed suppression and strong persistence in pastures and orchards. It must be allowed to re-seed to persist into the second and subsequent seasons. The sub part of the name refers to the fact that after the flowers are fertilized the seed stalk reaches down and into the ground. This allows it to bury the seed where it has the greatest chance of survival and germination. Graze until flowering then reduce stocking rate to promote seed set.